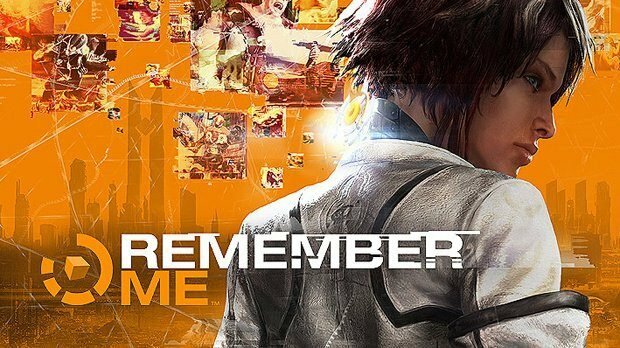 I doubt anyone can argue with the amount of conversation and, if you will, hype surrounding Dontnod Entertainment and Capcom’s Remember Me. 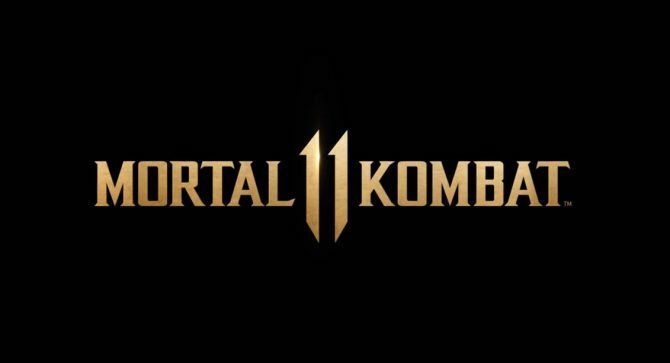 It’s hard, as a game reviewer, to go into something so talked about for the last year without having preconceived notions about what to expect, however, from the moment I saw the first images revealed for the title last year, I knew I was going to want to get my hands on it. The story revolves around Nilin, a former memory hunter who has, ironically, lost her memories. Her journey to rebirth begins when she’s just about to have the last vestiges of what made her HER, wiped for some unknown reason. She’s saved by a former colleague named Edge, and he sets her on the path to both take down the massive corporation that seems to be attempting to control everyone through their memories, as well as finding out who and what she really is. 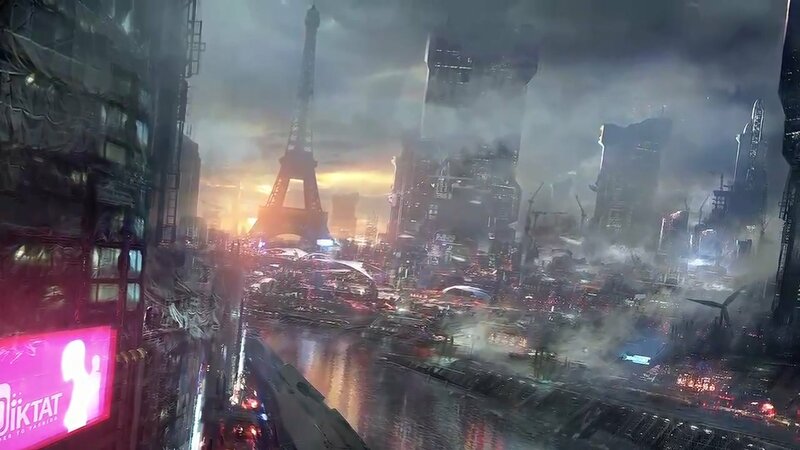 Everything is set in the city of Neo-Paris in the year 2084, and both the story and settings evoke memories (see what I did there?) of movies like Minority Report, Metropolis and Ghost in the Shell. That isn’t a bad thing, by any means. When I first heard that the story was set in a Paris of the future, I was intrigued, but it struck more of a chord with me now, after a trip less than a month ago to the Paris of the present. It isn’t a unique location for pop culture media in general, but transforming it to a cyberpunk future where memories are bought, sold, traded, given and stolen on a whim, and where one corporation is using their memory technology to basically enslave the human race, it certainly brings things to a whole new level. The visuals, at first glance, are really great, even on the console versions of the game. The world looks immersive and inviting. 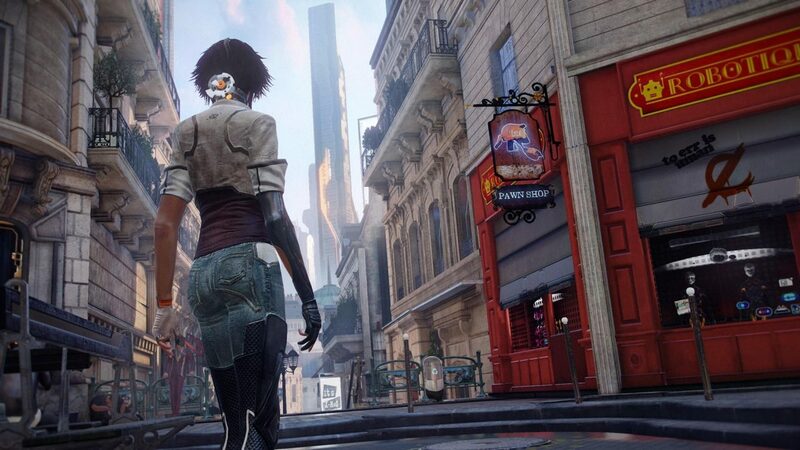 The environment really looks the best, followed by our protagonist, Nilin herself. Some of the other characters occasionally show the lack of polish that was saved for the more pronounced models in the game, but you don’t notice it so much, since most of those tend to be baddies that you’re beating up on and things are moving way too fast to even bother. I was pretty much in awe by the art direction, which didn’t skimp on the minor details which really made the areas Nilin moves through come alive (the little shops with opening times were a lovely touch, especially given my recent trip to Paris). Immediately after you boot things up and start a new game, you’re introduced to some simply amazing voice acting, and that follows suit throughout the majority of the game. In fact, the “commercial” you’re presented with at the beginning of the game immediately made me want to never put down that controller; everything else didn’t really matter at that point. But, the more I got into the game, the more I was engrossed in the world and the characters, and that’s a good thing. Sometimes it’s hard for a new IP, or even a seldom-used setting style (cyberpunk), to resonate with the audience, but the combination of almost immediately caring about what happens to Nilin and the very colorful world around you makes you want to keep pressing on to see what’s around the next corner. The only issue I can bring to the forefront here is how much I would have loved an open-world gameplay style in this game, with perhaps more of a branching and side-quest-heavy mission structure instead of a linear tromp through a world you will never be able to explore. With the world, characters and voice acting so top-notch, how is the gameplay? 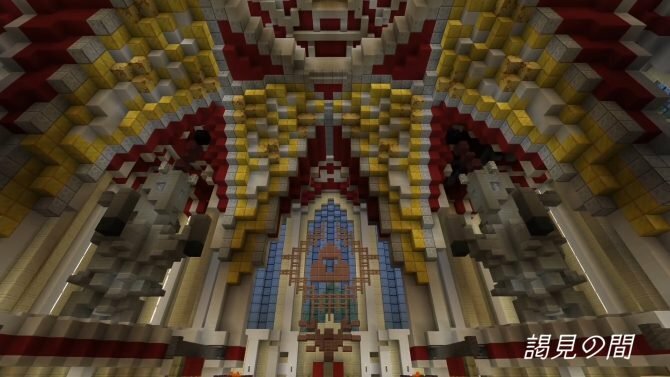 Well, things progress in a very Uncharted-like way, which I approve of, although others may find it a bit monotonous. My issue with action titles in general is that, in a good number of cases, there’s nothing but an endless stream of enemies to fight through, and you spend more time doing that than taking everything in. That may appeal to some people, but not me. This is why a game like Uncharted was right up my alley: I’m not a fan of action games for that very reason. Remember Me is designed in almost exactly that style, as well. There is a lot of running, jumping, climbing and small puzzles to help you progress, and several times in each level you’re faced with a smattering of enemies, and then sometimes a boss at the end. This is pacing I can certainly get behind. The tutorial for the game-play aspects is very well done., and eases you into combat, perhaps almost too much so. Toward the end of the tutorial (which stretches into Chapter 3), it starts to get tiring when you’re ready to fight, jump, move or fall and the game pauses to tell you exactly what to do. 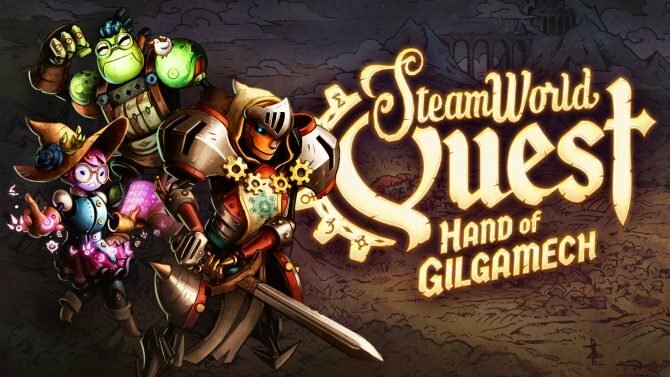 And this game also is probably not for those who dislike their hand being held. Not only does it provide ample direction to get you where you need to go, it provides some very precise help to pick up many of the collectibles in the game. Take that as you will; I didn’t mind it so much, although, in the back of my mind, having visual cues pop up to tell you where a collectible was and then to get you back on the right path to the end of the area is possibly a bit much. 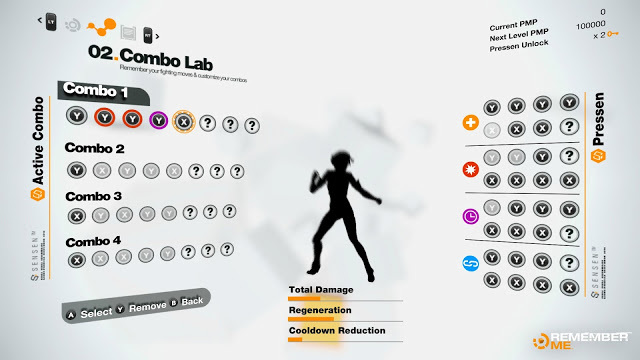 Combat takes place occasionally and you use custom built combos to take down your foes. As the story progresses, you unlock more combos that you can use, with every action during the combo being customizable except the first one. Actions, which are called Pressens, unlock as you collect Procedural Mastering Power (PMP). Eventually, you’ll collect enough PMP to generate a key to unlock a new Pressen, which you can then use to customize your combos. There are four different types of Pressens – Power, Regen, Cooldown and Chain. Power Pressens are pretty much your bread and butter. They are hard hitting actions that pack a powerful punch. They are also the only way to trigger finishing moves (those moves themselves vary depending on the enemy encountered) and the only way of damaging some enemy types. Regen Pressens regenerate health, but don’t deal much damage. Cooldown and Chain Pressens are used in specific situations, or added to a long combo, to reduce S-Pressen (unique moves), cooldowns and duplicate Pressens to double their effect, respectively. S-Pressens are, for all intents and purposes, a way to beat the stuffing out of your opponents with few consequences. During combat by attacking or being attacked you build up Focus, which can then be expended by using S-Pressens, several of which you acquire throughout the game. 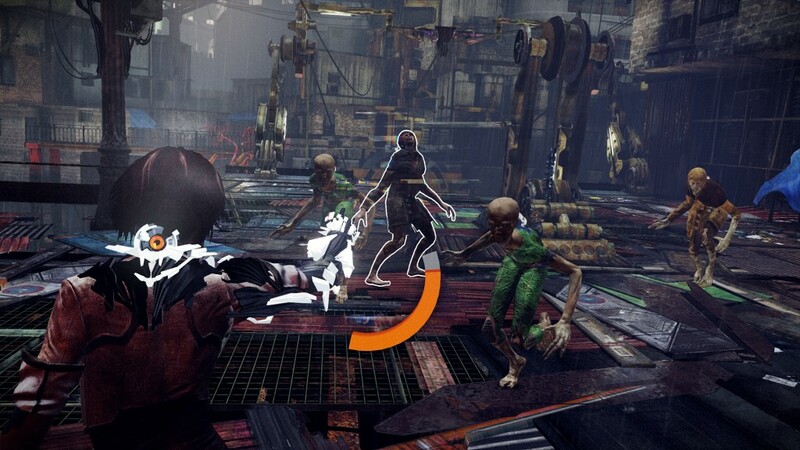 These are seriously some badass abilities that really show off what Nilin is capable of. Naturally, you can dodge as well, and the game tells you when. Sometimes it’s difficult to dodge while you’re in the middle of a combo, but most dodges that keep you in the vicinity of the enemy allow you to continue your combo after you avoid an incoming attack, which is a nice touch. Unfortunately, are a few issues with combat in general. First is that the timing of combos is very tricky. The game tells you to hit the next button in the combo when Nilin connects with the first action, but that isn’t entirely true, so you practically have to manually judge when to hit the next button. It does begin to come more naturally, but there’s a pretty steep learning curve on them and it never actually feels “right”. I would prefer more of a “press the next button in sequence within X amount of time to continue the combo” type of deal, not “press the next button at the exact time or you’re screwed” situation. Another, perhaps bigger, issue is the spastic camera. I don’t know why developers haven’t figured out how to build a decent battle camera for third person action yet, but in the vast majority of games it is rather obtrusive and clunky. 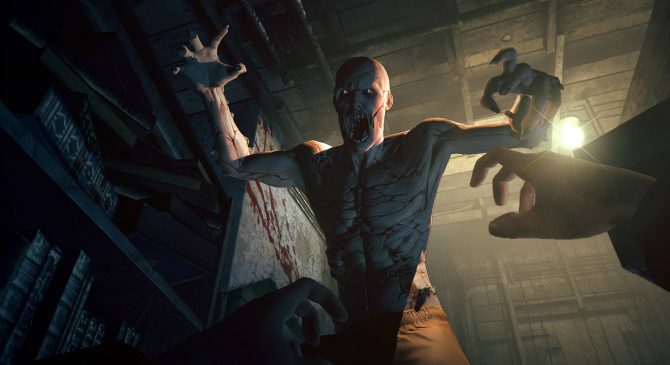 The issue is that the camera rotates or locks onto a position by itself when you’re in the midst of a combo, many times blocking the action behind environmental objects like poles, fences, railings or other things. This is highly annoying and, eventually, it made me dread getting into battle at all. The only real situations where this isn’t an issue is in very wide open areas, like most boss fights (thankfully) and some trash fights during the course of a chapter. 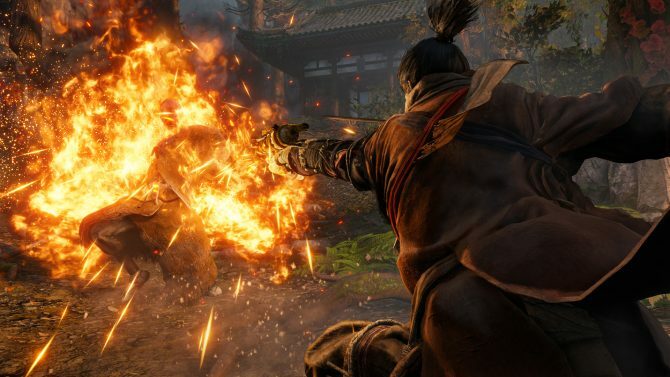 Finally – and perhaps the biggest issue of all – is that the character, story and combat don’t mesh. 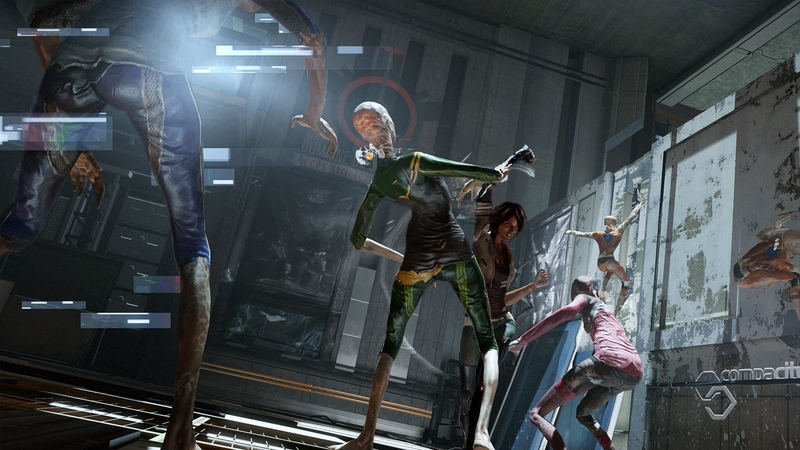 Nilin is an elite memory hunter, not a combatant. While I assume she will carry out her mission in any way possible – even if that means bashing a few faces in – there seems to be an unbalanced view of, or, if you will, an over-importance placed on, combat. That very clearly doesn’t fit with her character, and this tends to make the entire experience feel disjointed. Overall, I will certainly say that combat, while decent, is probably my least favorite part of this game, for many reasons. 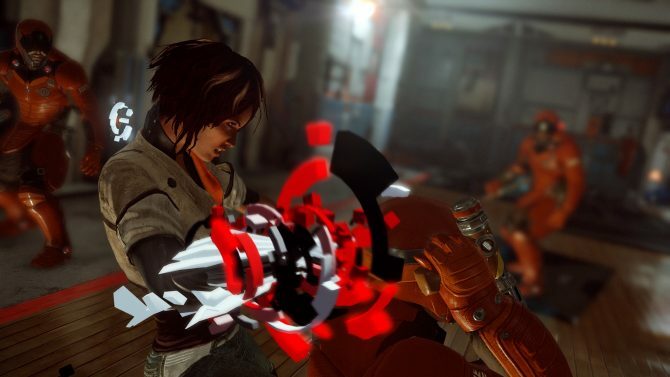 Although, with the many different actions and combos you can put together, there is quite a bit of depth to it, and most definitely the finishing moves that Nilin can perform – even the ones on enemies of no consequence – are very satisfying to perform. In my estimation, the best gameplay segments are the sequences where Nilin actually gets to delve into people’s minds and rewrite their memories. While these are pretty hefty sequences, possibly taking a bit to figure out their puzzle-like solutions, they happen far too infrequently and, in a way, seem out of sync with the rest of the game because of that fact. This is what the game should have been based around, not the combat. During these sequences you’re presented with a series of events that actually happened in the person’s mind, and your task is to rewrite their memories to achieve a certain goal. You can fast forward and rewind the memory at will, looking for inconsistencies. When you find one, you can make an alteration to the memory and see how events unfold with the changes. Finding the right combination of changes within the memory will achieve the desired results and progress the story. 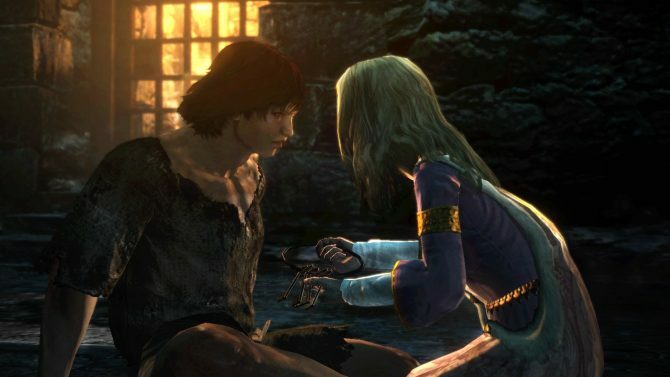 Even though the few opportunities to rewrite memories are quite elaborate affairs, I feel that the character of Nilin might be better served by stronger emphasis on this aspect of the game, perhaps adding smaller, more frequent segments like these that don’t require quite as much brain power to complete, rather than an over-emphasis on combat. This is where the comparison to Uncharted that I made above sort of falls apart. Uncharted is built on two things – movement (running, climbing, jumping, etc.) and puzzle solving. And that fits the characters, story and what the game is trying to be. Combat is there, but it sort of takes a back seat to those other things. 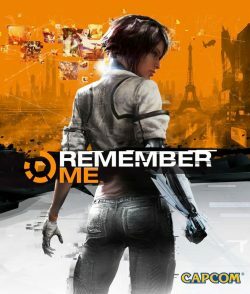 With Remember Me, combat is too prominent, and it isn’t even executed all that well. 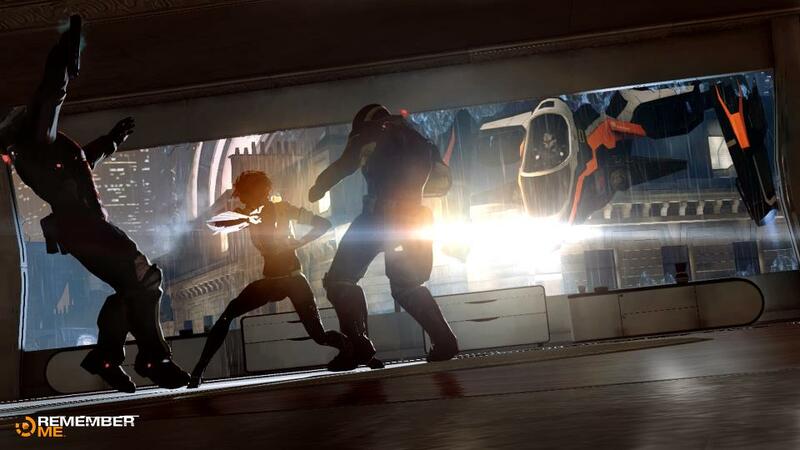 I would have loved to see more of an emphasis on both movement and environmental and memory-rewriting puzzles that really immerse the player in the notion of what and who Nilin actually is. Overall, I’m pleased with the story, setting and characters, as well as the fun memory reorganization sequences and their impact on the story. However, the vast majority of prominent gameplay falls flat because it contains very little synergy with those characters and the back story that was built for them. I certainly applaud Dontnod for developing a game with a great, strong female lead, which I much prefer over the exaggerated importance of the “white male” protagonist. It’s never easy to develop a new IP, especially with the unique characters and setting that is brought to life here. However, the gameplay really was a downer. I would definitely recommend at least one play-through for any open-minded gamer, but I’d wait until the price drops a bit.